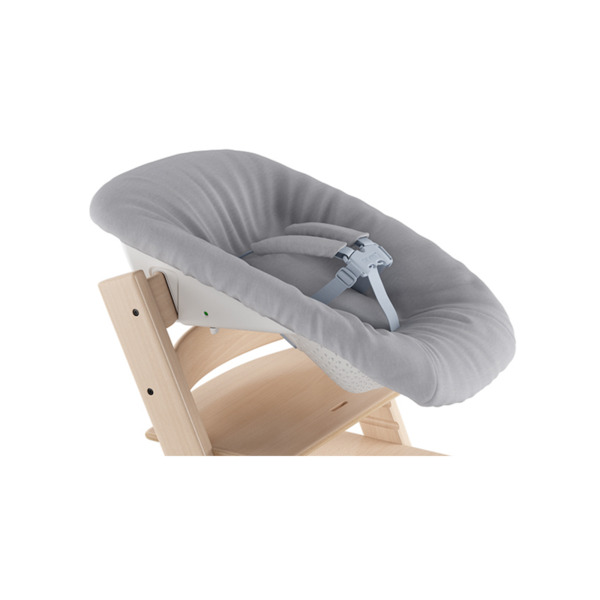 With the Tripp Trapp Newborn Set, your baby can sit at the table with the whole family from the very beginning. Safe for use from birth to 20 pounds, the Newborn Set has two-angle adjustable positions and a nest-like design with leg support and included toy bar. You can be confident is it correctly attached using the red to green indicators, and keep baby comfortably secure with the 5-point safety harness and shoulder pads.